In this video review review I take a look at the SEO audit portion of Google Lighthouse. It certainly sounds promising, and after all, if it’s from Google isn’t it from the horse’s mouth? Spoiler alert: it’s not a replacement for a real SEO audit. 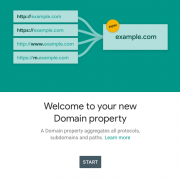 Have you used Google Lighthouse? Do you like it? Hate it? Are you mystified by it? 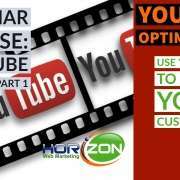 Watch the video and add your own comments and questions below. Hi. This is Ross, with Horizon Web Marketing and it’s time for another SEO checker review. I’ll be right back. As you probably know, I’ve been working through these free SEO checkers that are online tools that purport to give you an overview of the SEO potential of your website. In most cases, you go to a website, put in the homepage or any page, sometimes, of your website, and you click a button and they’ll give you a report. Those tools are often referred to as SEO checkers, SEO checkup tools, free SEO analyzers. There’s a whole bunch of them out there, and if you look down below in our list, in the playlist that we have on this YouTube channel, you’ll be able to see that I’ve done quite a few reviews so far. Now usually, what you do is you go to a website and you plug in the address for your website, and click a button, and it’ll go, and it’ll do its thing and it’ll check a whole bunch of different stuff, and it’ll give you a report onscreen. The tool that we’re going to look at today is a little bit different for a couple of reasons. One is, it’s not a website. The second is, that it’s actually produced by a company you may have heard of called Google. 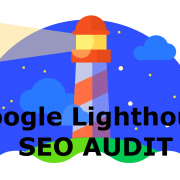 Let’s take a look at Google Lighthouse, which is Google’s own tool for conducting what they call an SEO audit on your website, so let’s see how this works. All right. I’ve been using this particular website, Artisans of Colorado. It’s sort of a demo site, and I’ve been using it in some of my other SEO checker reviews. We’re going to run this website through Google Lighthouse. Google Lighthouse has been getting quite a bit of ink lately. It’s actually been around for a couple of years. 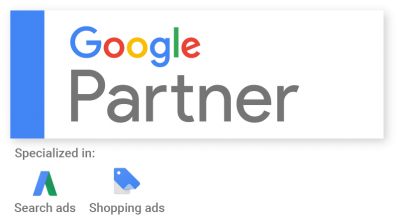 It’s a, basically a tool that Google makes available for free to webmasters to get a handle on all sorts of good stuff that has to do with your website. Most recently, Google Lighthouse has been getting more publicity because the speed test results from Google Lighthouse are now being incorporated into Google’s own PageSpeed test tool which is … Let’s go here and just take a look just for chuckles here. I’m actually going to Google it. Google’s PageSpeed test, which is this one here, PageSpeed Insight. 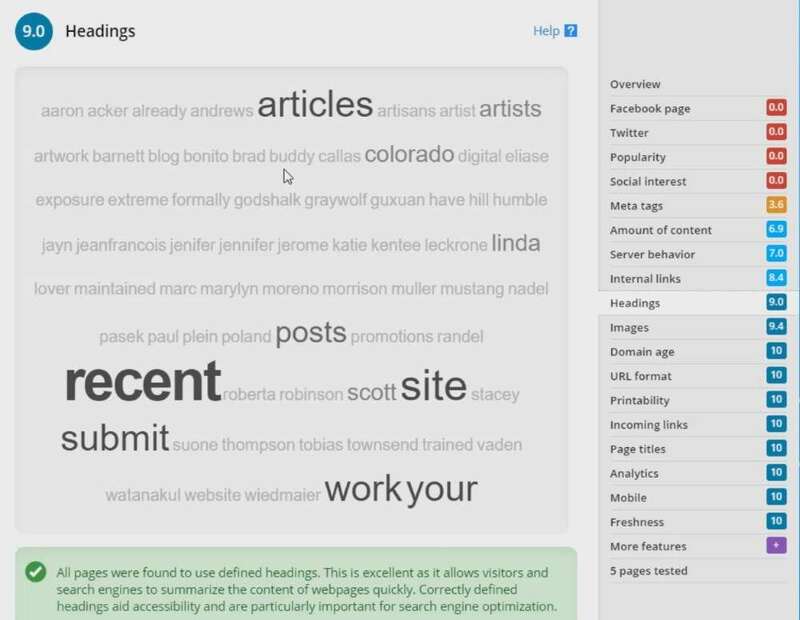 You can see PageSpeed Insights, and it will give you an overview of the speed of your website, and it’s tied into now another tool that Google had made available called Google Lighthouse. There’s a couple of different ways that you can run Google Lighthouse. One way is by going and getting it as a free extension for Chrome. Now, I’ve done videos before about how you get extensions for Chrome and the way you do that is you click on the three dots up here at the top right of a Google Chrome browser and then you go to settings. Once you get to settings here, you can over and click on the hamburger menu at the top left. Then go down and click on “extensions.” Now, the extensions is going to show you the extensions that are currently installed on your browser. If you click on the hamburger menu yet again, and go all the way to the bottom, you’ll see that you can open the Chrome web store. Go to the chrome web store and just go ahead and type in “Google Lighthouse.” If you want to, you can tick the little extensions filter here but, typically, it’s going to come up at the top anyway. Here it is, and it says “rate it” on mine because I’ve already installed it. Usually, it will have a little button that says “add to Chrome” and you click, and then it asks you for permission to do it. You add that extension to Chrome, and then it’ll show up, this tiny little icon up here at the top right. See how I have that installed, and that means it’s as an extension on my site. Now, if I go back to the site I want to check, so all I have to is click on that Lighthouse extension, and then notice it’s got a variety of options that we can set, so we’ll click on that. You’ll notice, it’s got a bunch of different categories it says to include. Performance, it’ll test the, whether your site is built according to standards as a progressive web app. This is nothing that I pay attention to right now. I probably should, but I don’t. 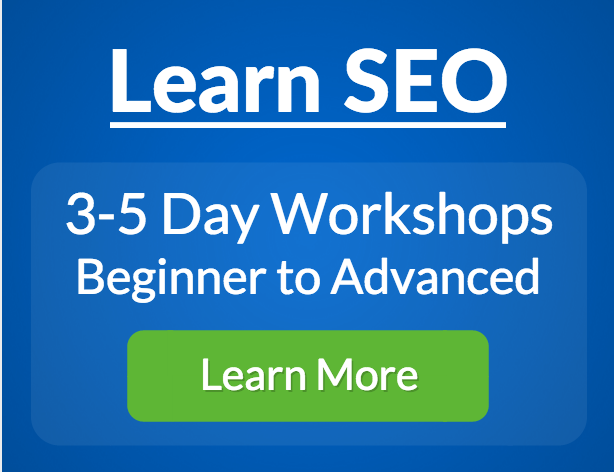 Accessibility, best practices and then finally, SEO. This is, I don’t know when they included the SEO audit, I think it’s been within the last year. I’m doing this in January of 2019. I could be wrong on that, but in any case, now we’ve got this nice little tool here, SEO. What I’m going to do is I’m going to un-tick “progressive web app,” and I’m going to un-tick the “accessibility” one just to keep the set manageable. I’ll go ahead and click on “okay” for options. Now I’m going to click on “generate report.” Let’s see what we get. Normally, what Lighthouse will do is you’ll see it going through its paces, it’s checking various configurations of the site. Then it’s going to come up and open a new browser window, and it gives me a report. Now, notice it’s given me a 23 on performance. Now, this is how fast the site loads. We’re not really focused on load speed here, but we can use this in order to try to determine whether our site is below par or not. This is the same results or similar results that you would get if you go to Google’s PageSpeed Insights, that has best practices, and then finally, notice, my SEO audit. I’m getting 100% on my SEO audit, so that seems pretty encouraging at face value. Let’s scroll down here and see what various categories that we have. Now, there is … I was actually pleasantly or, I guess, unpleasantly surprised to see that the best practices show, pointed me in the direction of something I was not aware of and that is that I have a security vulnerability on this website. You’ll notice it here, it says “one vulnerability detected.” You can typically always drop down the little dropdown button. If you’ve got a down triangle, then you click on it and it’ll show you more information. This is telling me that, basically, the version I have of jQuery has a vulnerability, and so we would need to update jQuery to be able to patch that vulnerability. I’ll admit straight out, I did not realize we had this problem on this particular site. It’s basically a demo site, so it’s not a big deal but I intend now to go and check my other sites as well. Now, it says that I’ve passed a total of 13 audits. I can see where I’m doing well, and you can see one of them uses https. In other words, our site is running securely. You can see its checked all sorts of different things, whether the page has doctype, it will talk about avoiding deprecated APIs. Some of this is pretty technical stuff. It displays images with correct aspect ratio. These are all useful tests. Really, although they are not under the SEO section of this audit, I would normally audit these things as part of an SEO audit, so you could say that it’s sort of an extension of their SEO audit. Let’s go down to the actual SEO section right here. Now, it’ll tell me that there are two areas that I need to check manually. Notice, it tells me that the page is mobile-friendly and we do have some structured data going. If you’re not familiar with that, then this isn’t the place to learn, but structured data is looked for by Google and those other search engines that are still trying to be competitive. Structured data is valid, but Google is going to tell me that I should still be checking these things manually as well. In my experience, this is wise advice. Often, automated tools will tell you that your website is mobile-friendly, and then you’ll go and look at it on a phone and you’ll see the automated tool didn’t really show you that it’s not mobile-friendly at all. The one thing I don’t like about this, if you drop it down, it basically will just give you an opportunity to learn more, and then you’ll have links to more learning resources at Google, some of which are useful and some of which are pretty general. It points you in the direction of Google’s mobile-friendly test tool that you can use to explore your site a little bit more. Structured data. 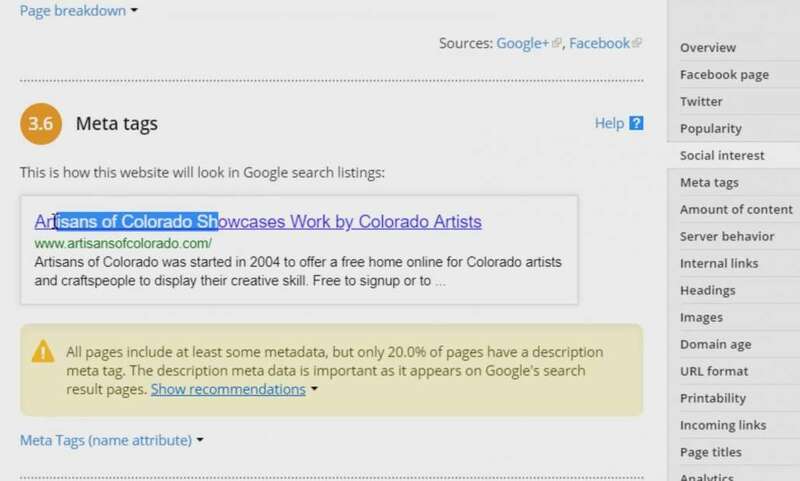 It’ll tell you more about what structured data is, about the testing tool and so forth, so it does give you resources to be able to follow up. These past audits in SEO, now we’ll take a look, and those are then further subdivided into other categories. Mobile-friendly. Notice here that the mobile-friendly check is very, very sparse, in my opinion. Basically, it just checks this particular tag, which is a viewport tag, and normally that’s used if you have a responsive designed website. You can’t be mobile-friendly without having that tag, but on the other hand, there’s a whole lot more to actually being mobile-friendly than simply having that tag. When it comes to explanations, Google’s explanation is pretty lean as well. Same way with the legible font sizes. Tells you that the legible text, notice, is greater than 12 pixels. It still doesn’t tell you a lot of things like whether the fonts are too close together or whether particular elements are overlaying your site. I guess what I’m trying to say is this is a real cursory check. I would not consider this to be a full-blown SEO audit or even close to one. A lot of the tools we’ve checked that are website-based are more complete than this. Let’s go ahead and look at the other sections they have. Content, best practices. Here’s where I have more criticisms of this particular tool. For example, it says, “the document has a title element.” Okay, fine. Most webpages have a title element, but SEO would involve making sure that that title element was the appropriate length, that it described the content on the page, that it was tied into keyword research that you’ve done, that it would appear correctly on a search engine results page. There’s a lot that goes into SEO beyond simply having a title tag, and so this is almost useless. As a matter of fact, if you looked at this and said, “Oh, hey, my title is fine,” then it’s actually done you a disservice. The same can be said for the meta description tag, is all it does is check to see if you have one. It doesn’t tell you anything about how well it’s been optimized. The same criticism applies to “links have descriptive text.” Well, okay, descriptive, but descriptive of what? It says, “hreflang.” This is basically a tag that’s used to make sure that you’re compliant with best practices for multi-language, which is usually not an issue. “Document has a valid rel=canonical,” that’s good to know, but it’s still pretty minimal. We’ve gone through here a total of 11 checks that Google has done as part of their SEO audit. Now, here is a comparison, the SEO audit that we normally do on a website is 91 different checks, so this is indeed a pretty basic tool. Before I conclude this review, and I’d give this tool a really low grade overall. No offense to Google. It’s great that they’re moving in a direction of giving us more information, but in terms of believing that you’ve done an SEO audit when you’ve run this, you haven’t. I’m going to show you an alternate way to run Google Lighthouse, and like I said, it is useful, particularly when it comes to page speed, some of these other best practices, checking for security vulnerabilities. Here’s the other way to do it. When you’re looking at your page, you hit the F12 key on your keyboard. What the F12 key will normally bring up is your developer tools. These will show up as a panel. Most developers who do programming are very familiar with these. Usually, they’ll come up on this panel. Now, you may have caught, when I first brought it up, it showed Lighthouse because developer tools now includes a hook into Lighthouse through the, when you click on the double arrow, depending on how much screen real estate you have, you often will have a “more,” a little double arrow, that indicates more choices. You click on that and you can go down to “audit.” Click on that, and notice, we can access, we can basically access the same Google Lighthouse tools here, and we didn’t have to get a plug-in to do it. The plug-in is a little bit redundant now. In a certain respect, I want to show the plug-in availability because it does pull up the results in a separate browser window, which makes it a little easier to use. All right, so there you go. That’s Google Lighthouse. The bottom line, if I had to give this a grade, I’d give it a C or a D as an SEO audit tool. Good to see Google giving us some SEO information, but we’d really like to see something that’s much more in-depth that what we have here. As far as other SEO checkers that are out there, most of the ones that we’ve tested are far more complete than this one that we just checked from Google. Now, we’ll be doing more SEO checkers as we go along, and I hope this has proved useful to you. I’m going to ask you now for a favor, and that is, if you’ve made it this far, please go ahead and subscribe to our channel. When you subscribe to the channel, it basically is showing Google that, hey, you were interested in the video. Then Google will know to show the video to more people. Go ahead and subscribe. Hit the “thumbs up” if you like the video and please also, when you do subscribe, click on that little alarm button next to the subscribe button. That means you’ll get a notification when we have new video content that will help you do the digital marketing that will help your website succeed on the Internet. Thanks again for watching. My name is Ross Barefoot, and I hope to see you on the next video. Bye for now.